Hire this venue for your own event - it has 20 function rooms the largest of which can hold a maximum of 1100 guests and the smallest is ideal for 4. 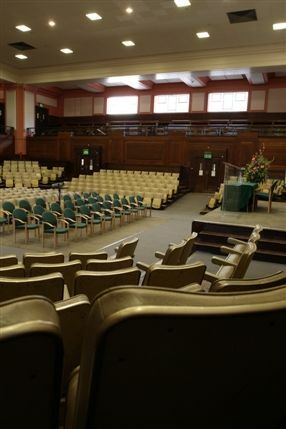 The historic headquarters of Quakers in Britain, Friends House in Euston has 23 function rooms including a large Meeting Hall which seats up to 1,100 guests. 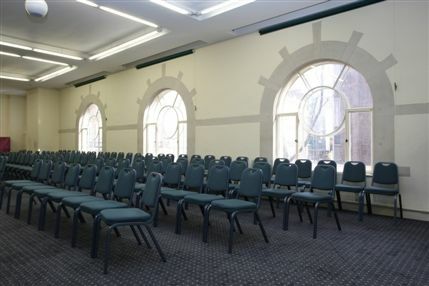 The venue boasts classic architecture, imposing stone columns and wood panelling, as well as state-of-the-art facilities. The Small Hall has a capacity of 230 while a further 20 smaller rooms can sit two to 120. Located opposite Euston Station, Friends House is conveniently situated in the heart of London and is a convenient venue for corporate conferences, meetings, training courses, lectures and interviews. In-house catering, a self-service restaurant and audio-visual equipment are also available, not to mention great day delegate package options suitable for all budgets. Quakers share a way of life built upon principles of truth, equality, peace and simplicity rather than a written set of beliefs. Community & Lifestyle, Charity/Fundraising Event. From cheap budget places to stay to luxury 5 star suites see our discounts for Friends House hotels, including Grange Tower Bridge Hotel from 66% off.